German intelligence agencies made a number of mistakes while cooperating with their US colleagues, the head of Germany’s Federal Intelligence Service said in a media interview on Monday. Speaking before the special parliamentary committee looking into the activities of the NSA, Gerhard Schindler admitted that the BND had made mistakes in how it had handled requests from the NSA, but he defended the need for cooperation with the American spy agency. “We have learned a lesson from our recent past… We made a number of mistakes during our collaboration with the National Security Agency at our Bad Aibling surveillance center in Bavaria,” BND director Gerhard Schindler said in an interview with the daily tabloid newspaper Bild. Schindler claimed that the BND had not checked the 'selectors' which the NSA had sent them in any thorough manner. These selectors were search terms, such as phone numbers or e-mail addresses, which were used to target the BND's computer surveillance systems at specific individuals or organizations. In recent weeks it has emerged that among the hundreds of thousands of selectors sent by the NSA to the BND were European companies and senior political figures in France and the European Commission. “Between 2005 and 2013 we were not attentive enough while running through the NSA’s online searches. These mistakes have been corrected and right now we are doing this in a thorough and systematic way,” Schindler added. 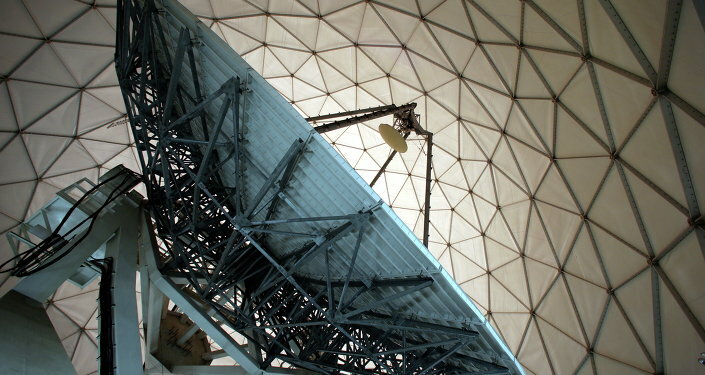 Dismissing accusations of the BND allegedly handing German secrets over to the Americans as “baseless and unfair,” Gerhard Schindler underscored the importance of the agency’s antiterrorist cooperation with the NSA. However, Schindler defended the relationship with the NSA, saying that the American spies were there to protect Germany. In July 2015 WikiLeaks published evidence of the National Security Agency spying on top German officials, including Chancellors Angela Merkel, Gerhard Schroeder and Helmut Kohl. In June French and German media, citing a similar report by the whistleblowing website, accused the NSA of keeping tabs on a number of French politicians and businessmen, including three French Presidents. A parliamentary commission set up last year to investigate alleged US spying on members of the German political elite has yet to receive a full list of the “targets” of NSA spying. Angela Merkel’s office earlier said that providing such information to the MPs could be detrimental to relations between Berlin and friends in Washington. In June the German government decided to assign an official to act as a go-between to coordinate the intelligence agencies’ work with parliament and to share classified information with the MPs. The plan received strong criticism from the country’s opposition parties.